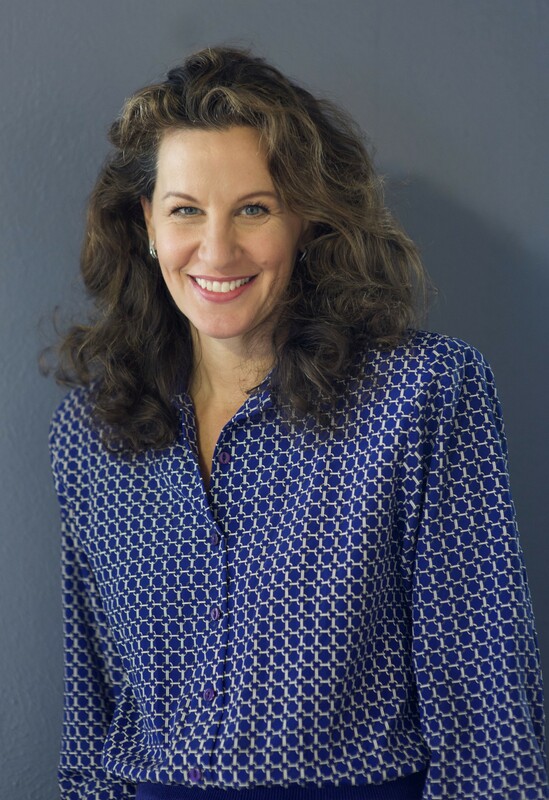 I recently had the pleasure of interviewing Caroline Boudreaux, Founder of The Miracle Foundation, an Austin, TX-based non-profit that brings life-changing care to the world’s orphans so that they can realize their full potential. She has been featured in Forbes, CNN, People, USA Today, the Christian Science Monitor and earlier this year, was profiled by A Plus and on Maria Shriver’s #Architects of Change Facebook Live program. For her work with orphaned children, Caroline was presented with the Hope Award in 2005 and the Impact Award in 2008. In 2011, Caroline completed a prestigious course on Global Leadership and Public Policy for the 21st Century at Harvard Kennedy School. What’s more… as a Young Global Leader with the World Economic Forum, Caroline has been a leader in a policy-level approach to tackling the global orphan crisis, garnering the support of leaders around the world in the process. At age 28, I was an account executive at a TV station making more money than I had ever dreamed I could make. I was confused because I always thought that money would bring happiness but instead, I felt empty inside. I was sure there was more to life. So, my best friend and I decided to quit our corporate jobs and take a trip around the world. As we plotted our course, she insisted that we visit India so she could meet a young boy she had been sponsoring. I thought it was a scam, and I reluctantly agreed. So in May 2000, we had made our way to the small village in Odisha (formerly Orissa) where the child my friend was sponsoring lived. I couldn’t believe he was real. My friend was absolutely thrilled to meet him and see how her money had been helping him and his family. A few days later, we were invited to dinner at the home of the local social worker. We were tired, gritty, and hot after working in the village all day in 119 degrees, but decided we should go. We entered his ashram and were greeted by over a hundred beautiful, hungry, orphaned children our host had taken in. They were precious in every way, but sad and empty looking. While I was in the village, I thought I was experiencing life at “the bottom of the pyramid,” but meeting the children gave me a whole new perspective of what poverty is. It’s more than just not having basic shelter, clothing, and food… poverty is not having people who love you. That night, a little girl came and put her head on my knee. The children would press their bodies against me when I held them. I rocked her to sleep and when I went upstairs to put her into her crib, I was shocked to see a room filled with hard, wooden-slatted beds, no mattresses or pillows. As I laid that orphaned baby on those wooden boards, I broke. I heard her bones hit that bed and just knew something had to be done to help these children. This was unacceptable. That day was auspicious — it was Mother’s Day. Right at that moment, I decided it was me that had to step up and take a stand for the children and the heroes who were trying their best to care for them. The idea for the Miracle Foundation was born that day. Every miracle deserves a foundation. When I returned home, I left my lucrative television advertising career, and founded an international nonprofit committed to empowering orphaned children to reach their full potential. I had never worked for a nonprofit before and knew there were going to be countless barriers to overcome along the way, but I was committed. I couldn’t un-see what I had seen. Miracle Foundation is audacious. We believe in a future where every child grows up in a loving family. We believe in a world that no longer needs orphanages and a world where every child feels a sense of belonging. It’s a big goal. There are 8 million children living in institutions today. And we believe we can get every single one of them into a loving family… in our lifetime. How do we do it? With an individual child care plan for every single child. It’s not the easiest way to do it, but every child deserves that level of consideration. About 80% of children living in institutions have living family. So we’re reunifying children with their families, whenever it’s in the best interest of the child. We’re recruiting local heroes who can care for children as short-term families. And we’re putting support systems in place in communities so children never end up in an orphanage. In the U.S., we’re working on improving our foster care programs by leveraging technology. We’re incredibly excited about that because the foster care system in the U.S. is quite antiquated and not up to date. We’re training and supporting programs in India, Africa, Sri Lanka, the United States and Mexico — impacting more than 7,000 children. And we’re just getting started. Well, we’re growing like crazy! In 2016, Miracle Foundation was supporting 1,000 children. And now the organization is supporting more than 7,000 children across India, Africa, Sri Lanka, Mexico and the United States. What made this exponential growth possible? An innovative change in our business model. In an effort to scale and help as many children as possible, Miracle Foundation has begun partnering with state governments and other organizations caring for orphaned children. The achillies heal of the non-profit sector is that we’re typically terrible at working together. Miracle Foundation has some great partnerships with other organizations in this space. Together, we’re stronger than the sum of our parts and our partners are doing work that is just as incredible as ours. It is an exciting time to be changing the world. Miracle Foundation’s method is based on the United Nations Rights of the Child, which 193 countries around the world have agreed all children need and deserve. Our methodology is a tangible way for that policy to be put into action, saving and changing the lives of children who are often left behind and forgotten. And the momentum is growing! Miracle Foundation is getting inquiries from other governments around the world interested in partnering and implementing our methodology for parentless children. One of the many success stories to come from Miracle Foundation’s efforts is a 19-year-old girl from southern India named Meera. Meera grew up in an orphanage that lacked the basics: clean water, nutritious meals, and healthcare. She suffered very much as a child. In May of 2012, Miracle Foundation began supporting Meera in her education. We made sure she had everything she needed including great food, healthcare, tutors, and the love of a family. Today, Meera is in college studying to become a social worker. Her dream is to help poor families in rural communities. Every child in the world deserves help getting onto the first rung of the ladder of success. This is the foundation that every miracle deserves. My faith, my belief in humanity, my love of children and the successes of other major shifts we’ve seen in the world. The dream for every child to grow up in a loving family is one that people can get behind. They love that we’re going for it and it’s encouraging to have so many partners and donors who are behind us all the way. I believe that, in one generation, we can end the suffering of children without parents. We can find loving families for every single one of them. It will take a concerted effort from governments, NGOs, and caring donors, but it is possible. And, for the record, my corporate job wasn’t easy work either. But my work with Miracle Foundation is much more fun and fulfilling! Alan Graham who started the “Mobile Loaves and Fishes” nonprofit in Austin was our first Board chair and taught me the importance of letting others help me. Joan Holmes, Founding President of The Hunger Project, is a spiritual mentor for me and has taught me how to see the world of possibilities and represent the poor with dignity. When Joan started the Hunger Project in 1974, the world told her that there would always be hunger. Some 40,000 people a day were dying from starvation. Today, there are only about 8,500 people dying a day from hunger. When you consider there are 2 billion more people on the planet than in 1974, you’ll see that the world does change for the better when people work on it. Together, Alan and Joan have taught me the real purpose of my work with the Miracle Foundation. When I started on this mission, I believed it was all about the children. But over the years, I have learned that many people have a strong spiritual hunger to help others and make a difference. At the Miracle Foundation, we have learned to help people channel that spiritual hunger in productive ways. Ultimately, our work is not just about feeding the physically hungry — it is about finding ways for the spiritually hungry to feed the physically hungry. When you bring these two groups together — the ‘haves’ who wish to give and the ‘have nots’ who need their help — miracles happen. The Miracle Foundation helps bridge that gap between those who want to give miracles, and the children who desperately need them. 1. Adjust & adapt your model, as necessary. I started Miracle Foundation in 2000 as an international adoption agency, matching available children with people who wanted to adopt. After 3 years, I changed my approach when I discovered that the process of international adoptions can be highly corrupt, involving a never-ending string of fees and bribes. I also realized that we could only facilitate about 20 adoptions a year. At that time, there were millions of children in need of families. The adoption agency idea was not going to help enough children. So, we changed our model and started training caregivers and setting high standards for nutrition, hygiene, emotional and physical care, and education at the orphanage level. Now, we’re working on getting children out of institutions and into loving homes. The model changes but the mission never does! 2. Don’t be afraid to fail. It happens all the time. Winston Churchill said: “Success is stumbling from failure to failure with no loss of enthusiasm.” I believe that! 3. Hire the best and let them do their job. One of the most important qualities of a leader is to have a vision and then have the ability to hire the right talent. The ability to know your strengths and weaknesses, and not be too proud to admit your weaknesses is something that also helps. I’m proud of the people I’ve hired. They’re brilliant and, together, we have figured out not only how to make sure children are getting everything they need to thrive, but also how to measure that. Surrounding myself with experts and giving them the room and tools to do their jobs has made our organization what it is today. The goal is for every orphaned child to have a loving family and feel a sense of belonging, in our lifetime. And Miracle Foundation is growing exponentially, in pursuit of that goal. I’m proud to say that we’ve created a model that is measurable and scalable. Miracle Foundation now supports thousands of orphans around the world. There are always people who tell me that our goal is too big and that our dreams will never happen. I’m sure Thomas Edison, Henry Ford and Steve Jobs were all told the same thing. The world needs moonshots and people that are ready to fight against inertia and the status quo. We don’t look at things as they are. We look at things as they can be. We dream big! My work with Miracle Foundation is my life’s work. We’ve tackled foreign barriers, corruption, cultural differences, time zones, misunderstandings and overwhelming resistance. We’ve recruited a world-class board and staff, and enlisted the help of thousands of business people, doctors, donors and volunteers to fix a broken system. So far, it’s working and there hasn’t been one thing yet that has diverted us from our mission. We’ve got this! I would love to meet the Pope. He’s so cool and thinks so clearly about the poor. Growing up, I learned about social justice in the Catholic schools of Lake Charles, Louisiana, where I was educated. I had great nuns and priests who taught us about Jesus’ preference for the poor. I’m also a student of St. Francis of Assisi and love his view that there is no top, only a bottom, and it is there that you will find the face of God. It has certainly been true for me in my life that anytime I’m with the “least of these,” my joy is exponential.